Definition at line 109 of file CallEvent.h. Definition at line 111 of file CallEvent.h. Definition at line 112 of file CallEvent.h. Definition at line 114 of file CallEvent.h. 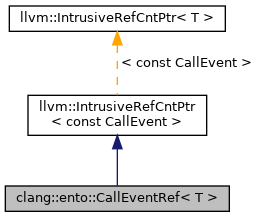 Referenced by clang::ento::ExprEngine::processCallExit(), and clang::ento::ExprEngine::VisitObjCMessage(). Definition at line 121 of file CallEvent.h.